Hello and Welcome to Truth Or Myth, in Today’s episode we take a fun and fast look at the mistakes made in “Star Trek IV: The Voyage Home”. 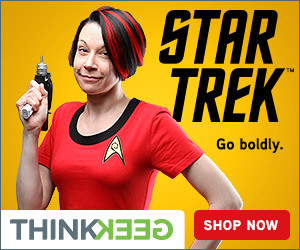 Shortly thereafter we see the Spock re-education scene. In it, we see Spock competently answering the computer’s questions posed to him, but in this scene, there are 2 problems. First, why, when the audience is looking through the transparent computer screens do we see the questions right way around, shouldn’t they be backwards to us since they are forwards to Spock when we get shots of them over his shoulder? And second, Spock’s mother comments that Spock’s training has been in the Vulcan way, so then why is the computer giving him questions in English? The Crew of late Starship Enterprise have been very busy during their 3 months on Vulcan. In that time, not only have they reworked the entire bridge of their captured Bird of Prey, they even installed new non-federation style doors. Yet with all these changes, why didn’t they update the displays to read in English? When the crew are getting ready to leave Vulcan on the Bounty, Saavik claims she hadn’t had a chance to tell Kirk about David’s death. That seems illogical. The crew were there for 3 months, and even if she had ended up on some other part of Vulcan, why didn’t she pick the phone up and give Kirk a call? Later in the movie, the Bounty lands on Earth and it sure kicks up a lot of dust when it does… But when it takes off from Vulcan, a desert planet, there seems to very little dust kicked up into the air. 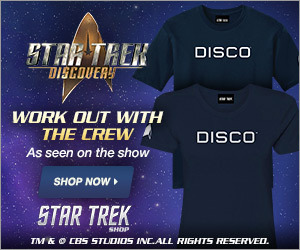 During the scene where Kirk and Crew are deciding whether to go back to Earth and face the music of their decisions in the previous movie, we see that the ship is Spray Painted with its new name, the HMS Bounty. yet in all subsequent space scenes, the Spray painted name is gone. I’m confused, why does sling shotting one way around a star send you back in time, while the slingshotting the other way send you forward in time? Why did Kirk order the ship to land in Golden Gate Park? Isn’t that taking a huge risk that someone might, I don’t know, stumble into a huge invisible wall? Why is Gillian Taylor giving tours at the Cetacean Institute? She has a doctorate and is in charge of George and Gracie, shouldn’t she be studying them? After all, they’re leaving soon, aren’t they? And Second, Scotty and McCoy give the formula away in the first place. This could make a huge alteration to the timeline. What happened to all that stuff we heard over and over again in the TOS episode Tomorrow is Yesterday? 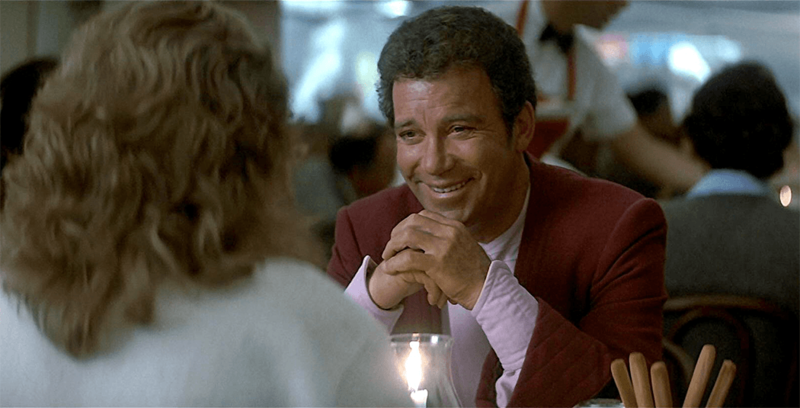 During the Dinner scene, Kirk tells Taylor they don’t use money in the 23rd Century, so then was McCoy lying in the Star Trek III scene where he’s trying to rent a vessel? Watch the candle in that same dinner scene, it’s height bobs up and down throughout. When the crate is being flown in my Sulu, we see it being lowered slowly in position. A Shot inside the ship then shows the clear pane also slowly being put in to place. The problem here is where’s the crate? Shouldn’t it be the crate we see sliding into place? When Rescuing Chekov from the hospital Kirks Phaser changes hands when he melts the lock on the door to the room he’s trapped the doctors behind. Again another temporal violation occurs. Kirk lets Taylor remain on board and head to the future with them. No one even questions this slightly… Again see TOS’s Tomorrow is Yesterday. 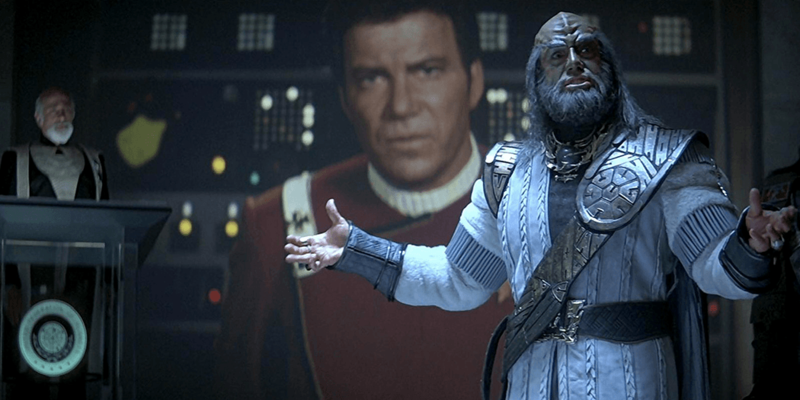 In this movie, the Klingon Bird Of Prey engages Warp not only while still inside the solar system as seemed to be an issue in “The Motion Picture”, but engages warp while in Earths atmosphere. Shouldn’t this be extremely dangerous? At the beginning of the movie, the federation president tells us that Kirk and Company have been charged with 9 Violations of Starfleet Regulations. yet at the end of the movie, when the charges are being read out, there are only 6.